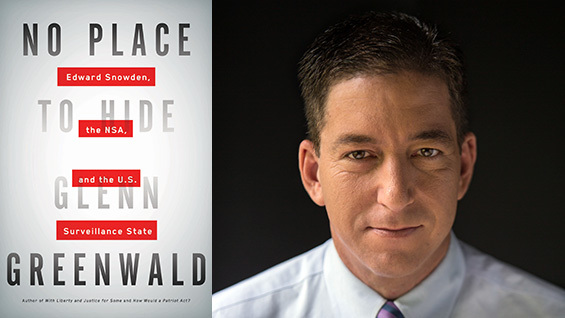 Glenn Greenwald, the Pulitzer Prize-winning journalist who broke the story of the National Security Agency’s massive secret spying program and the one man—Edward Snowden—whose unprecedented whistle-blowing made exposing it possible, will discuss his new book, No Place to Hide: Edward Snowden, the N.S.A. and the U.S. Surveillance State, in a free, public event at The Cooper Union's Great Hall. Greenwald will talk about the story behind the story in an on-stage interview conducted by Matt Taibbi, former finance and sports reporter for Rolling Stone, Men's Journal and The Beast. He and Glenn Greenwald have both recently joined First Look Media.